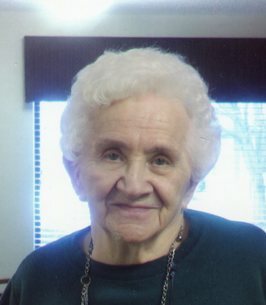 Wanda R. Bridges, 92 years of Hillsboro, passed away on Monday October 29, 2018. She was born in Columbus on March 26, 1926, the daughter of the late Charles and Mary (Duckwall) Chestnut. Besides her parents, she was also preceded by her husband, Kenneth Bridges on January 25, 1998, one son David E. Bridges, one great granddaughter Kayla and one brother Leslie Chesnut. Wanda is survived by her son, Patrick Bridges of Hillsboro, daughter, Barbara (Kenneth) Storer of Hillsboro, 8 grandchildren, 14 great grandchildren, one great great grandson and sisters, Rachael Watson of Grove City, Jean Willis of London, Mildred Willis of Columbus. Graveside Services will be 2:00 PM Saturday November 1, 2018 at the Hillsboro Cemetery. Donations can be made to the Vitas Hospice or Alzheimer’s Association. 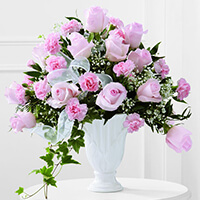 To send flowers to the family of Wanda R. Bridges, please visit our Heartfelt Sympathies Store. So sorry for your loss. Prayers to the family. We love you Grandma and will miss you.